The Fashion Guide Blog : Magic Spa Experience at Pestana Hotel. Close your eyes for a moment. Imagine yourself in a retreat where cut off from any outside noise, where the only thing that comes to your ears is the sound of the water and the sound of perfect relaxation music. The only thing you feel is the hands of the best therapist massaging your body at the rhythm of the playlist and everywhere is suffused with invigorating and fresh smells. What could be more relaxing? That's was my experience at the Magic Spa at the Pestana Palace Hotel in Lisbon, nominated for the World Luxury Spa Awards 2014. 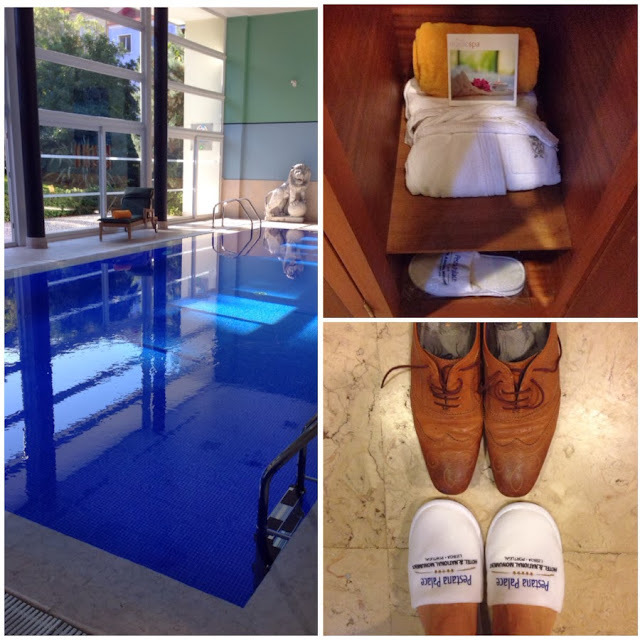 At the beginning of last month, the Magic Spa at the Pestana Palace Hotel celebrated bloggers week and some of us were invited for a treatment and to get to know the spa. I fell in love with it from the moment I put my foot through the door. I’ve had a couple of massages in other spas in Lisbon but nothing compares to the experience here. 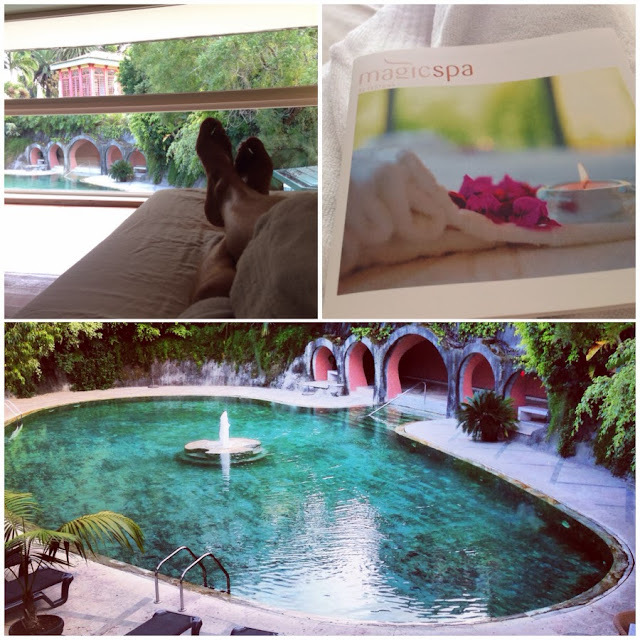 It has become my favourite retreat to find calm and relaxation so I went back last week for a 2-hour treatment: the "Magic without stress" treatment where, after a full body exfoliation I had a full body massage followed by a "Magic aroma facial". But that's not all. Once you’ve booked your treatment, you can spend there the whole day there if you want to and enjoy the outside pool (especially during the late spring and summer season), the jacuzzi or the indoor pool as well as the gym. The Magic Spa is located in the gardens of the Pestana Hotel surrounded by trees, flowers and the sound of birds. A special setting like this is for a special person, and that person is you! All the staff at the spa couldn’t be more pleasant and they are truly helpful, providing careful explanations of every treatment. The Magic Spas have now launched their exclusive brand, ‘Magic Potion’. Free of parabens, artificial colouring and flavouring and not tested on animals, the Magic Potion products excel in the quality of natural materials used and the initial extract of essential oils is something worth highlighting. As an added feature, the use of the latest Miron glass packaging technology preserves the Magic Potion products against the effects of light and temperature. Whether you live in Lisbon or are coming for holidays and need treat yourself, my recommendation is to spend a day at this fabulous spa. The war of clones part 6. 20 Shoes to make you sparkle this Christmas. 10 dresses to look great this Christmas. The war of clones part 5.